yurbuds® co-founder Richard Daniels along with five of the brand’s Elite Athletes recently made their mark at Ironman® races around the world. As a brand, yurbuds continues to support athletes in their competitive pursuits while integrating their feedback into the design of their top-quality sports equipment. With input from these athletes, yurbuds has firsthand insight into what it takes to create a product that works. On June 9, Daniels completed the Ironman 70.3 in Lawrence, Kansas. Though Daniels is a 24 time marathoner, this was his first Ironman 70.3. Daniels put together a strong race, finishing within minutes of top tier athletes like NFL star Hines Ward. Along with yurbuds corporate leaders, the brand’s Elite Athletes had a victorious month. For the past three years, yurbuds Elite Athletes have won first place in the female category at Ironman EagleMan in Cambridge, Maryland. Angela Naeth was the 2013 top competitor following in the footsteps of Mirana Carfrae (2009 and 2011 winner) and Meredith Kessler (2012 winner). Naeth continued her success with another first place finish, winning Ironman 70.3 Buffalo Springs in Texas at the end of June. Kessler kept the winning trend alive by capturing a first place finish at the Ironman 70.3 Vineman in Nevada. Two of yurbuds’ athletes broke the finish-line tape at Ironman Brazil 2013. Timothy O’Donnell and Amanda Stevens had great races in South America, with O’Donnell setting the course record in his first Ironman win. TJ Tollakson also had an impressive month, with a top three finish at Ironman Coeur d'Alene. Designed as true sport equipment, all yurbuds products are Developed by Athletes™. They are sweat proof, water-resistant, allow ambient noise, feature FlexSoft™ comfort fit and TwistLock™ Technology. 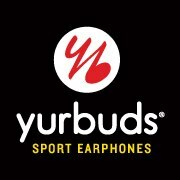 For more information on yurbuds, go to yurbuds.com.